December 2018 – The first major arts hub in the Highlands is now open – providing urgently needed studios for everyone from photographers and textile designers to an artist who knits glass. LDN Architects are at the heart of the two-phase Inverness Creative Academy project which aims to boost the economy by bringing together artists, makers and creative companies in a high-profile centre with the facilities they need to flourish. There is an acute shortage of studio space in the Highlands, which hampers the prospects of locally based artists and makers and means some have to leave the area. 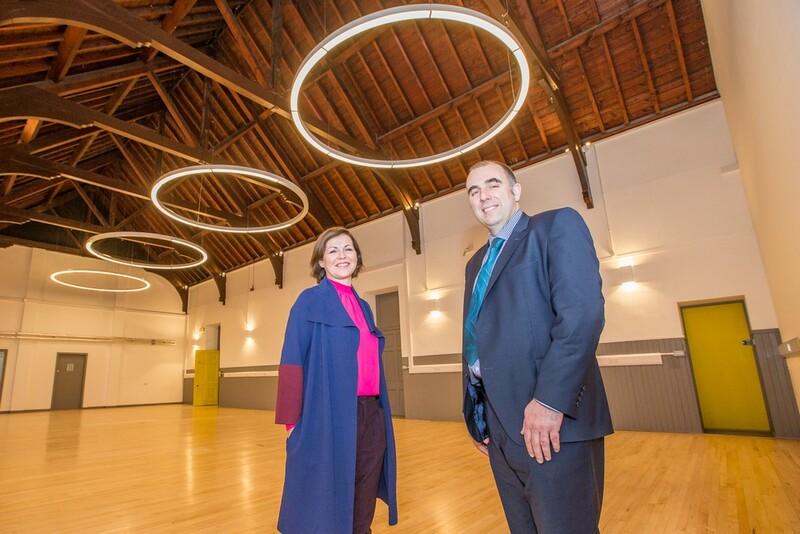 The £2.2 million Phase 1 has seen the restoration and transformation of one of the empty B Listed Midmills buildings, near the centre of Inverness, to create 39 high quality, affordable studio spaces and an exhibition area. Phase 2 will give a new future to the second building. 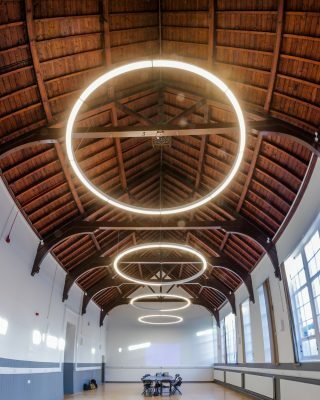 Ian Phillips, Operations Director of main contractor Robertson Northern, said: “Working on a Grade B listed building and restoring it to its full capacity and function was challenging but one that the team approached with an acute level of attention to detail and sensitivity towards the building itself. 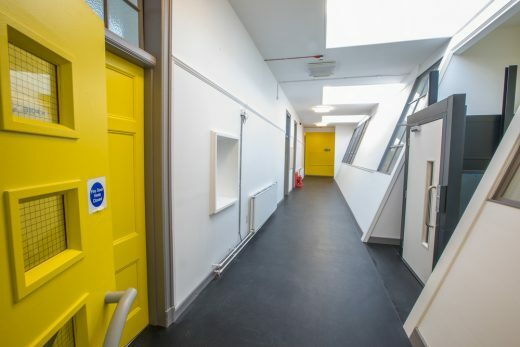 Audrey Carlin, Wasps Chief Executive Officer, added: “The opening of the Inverness Creative Academy is something to celebrate. 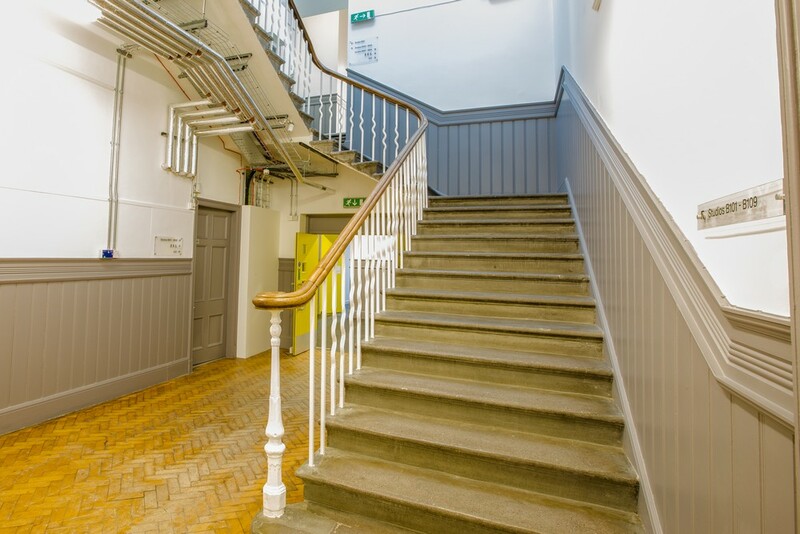 It provides excellent artists and makers with a new home in the heart of Inverness. “The Highlands is aregion of huge talent and creativity, but many people have been held back or forced to leave because there is too little studio space. The opening of the creative academy is an important first step towards reversing this trend and helping to build the strongest and most vibrant possible creative economy. Stuart MacKellar, Partner at LDN, said:‘It has been a pleasure to have had a lead role in the transformation of the former Inverness Royal Academy for use by Wasps. The buildings presented challenges that demanded creative and hardworking responses from Wasps and the design team, the result of which, we hope, is something befitting of the attitude and quality of the original architecture. There is also the award-winning Evija Laivina.She said: “I have actually studied in the Midmills buildings. It was an amazing place and they were some of the happiest days of my life. 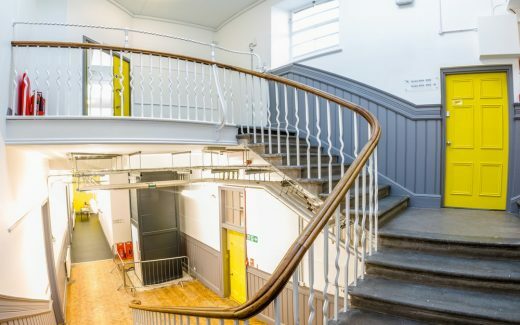 Rescuing the building and turning it into studios like this is a wonderful thing for Inverness (see case study). The Inverness Creative Academy is also attracting fresh talent to the area including Catherine Carr, who knits and crochets glass, who moved to Inverness from England especially for the studio space (see case study). 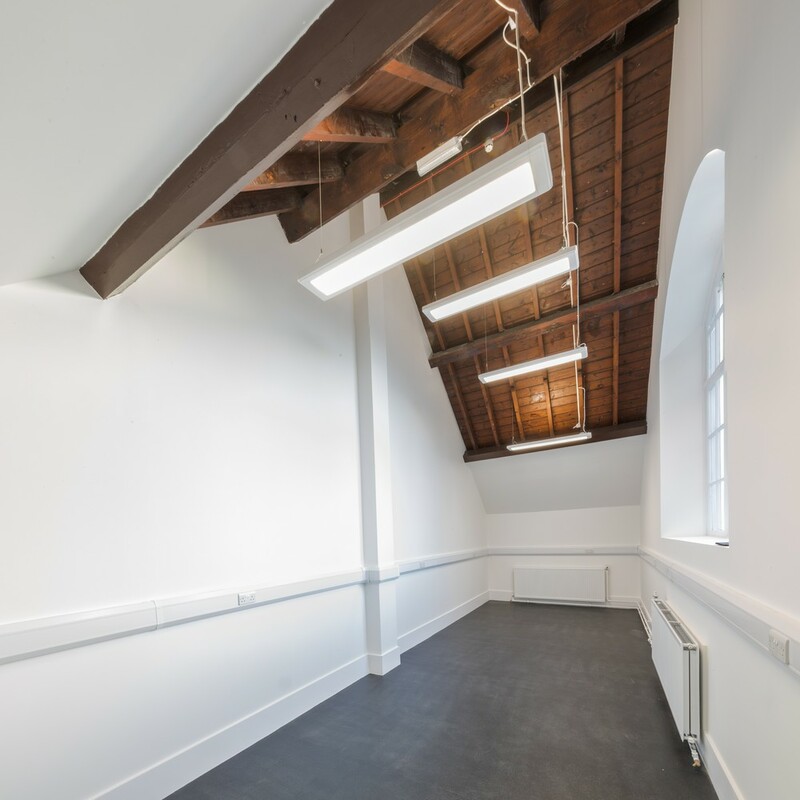 The completion of Phase 1 involved a £1.2 million investment that has restored one of the B Listed Victorian Midmills buildings to create 39 studios and an exhibition space. Phase 2 will give a new future to the second building. 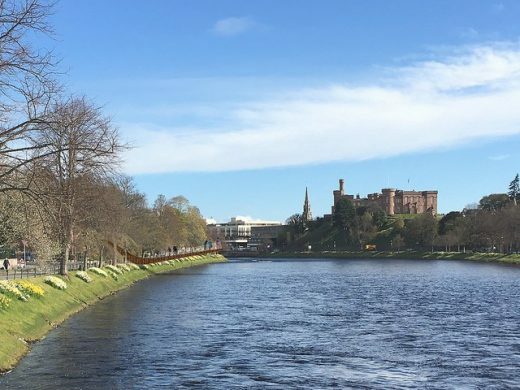 Pete Honeyman, Subject Network Leader for Cultural and Creative Industries at the University of the Highlands and Islands, said:“This is a hugely welcome addition to the creative and cultural environment of Inverness, not just for the city but for the wider Highlands and Islands. 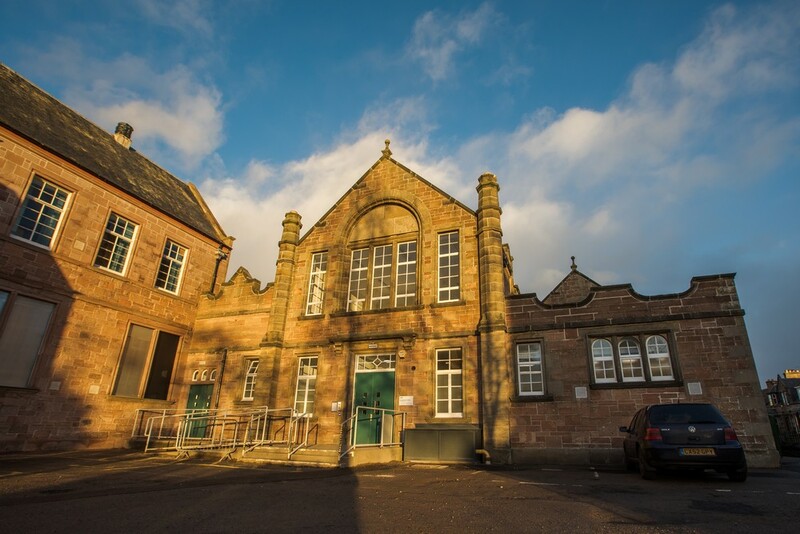 James Gibbs, area manager at HIE’s Inner Moray Firth team, said:“Wasps have built a strong sustainable model for supporting creative communities in Scotland and we are delighted to have assisted them with a £420,000 grant towards this first phase of the Creative Academy development. •	Improved appearance of local area. 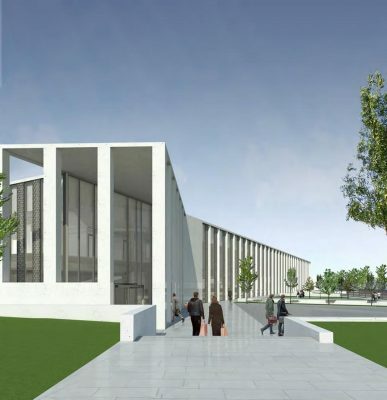 The Phase 1 work was carried out by Elgin-based Robertson Northern. •	Wasps stands for Workshop and Artists’ Studio Provision Scotland Ltd. It was established in 1977. •	The ethos behind Wasps is that while art can enrich communities and society by inspiring, educating, entertaining and transforming people’s lives, many artists and arts organisations with the talent and ability to achieve this often struggle to work and fulfil their potential because their low incomes make workplace rents prohibitive. Wasps was therefore set up to provide good quality, affordable studio space to enable artists and creative bodies to carry out their work. •	Wasps studios are all across Scotland – and as far apart as Shetland and Kirkcudbright. 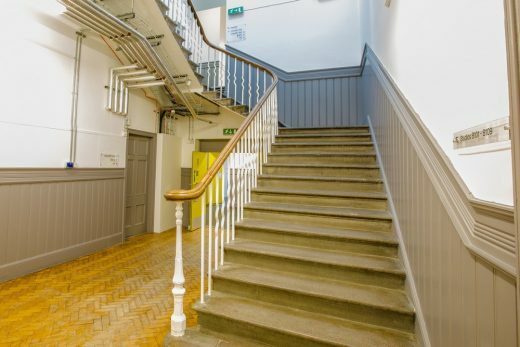 The sites are: Aberdeen (Langstane Place Studios and Shore Lane Studios), Dundee (Meadow Mill Studios), Edinburgh (Albion Road Studios in Leith, Patriothall in Stockbridge and West Park Place in Dalry), Glasgow (Dovehill in Gallowgate, Hanson Street in Dennistoun, South Block and The Briggait, (both in The Merchant City), Irvine (The Courtyard), Kirkcudbright (Canonwalls and Claverhouse), Nairn (Links Studios), Newburgh (The Steeple), Selkirk (St Mary’s Mill), Skye (The Admiral’s House) and Shetland (The Booth in Scalloway). •	In recent years the Scotland-wide organisation has been transformed from a small charity into one of the most successful bodies of its type in Britain. In 2014 it was named Scottish Social Enterprise of the Year. It is highly unusual because it is self-financing in its day-to-day operations, normally only seeking loans or grants for capital projects.